I hope your Thanksgiving was a good one with family and friends and you survived the Black Friday events in your local retailers! It was a great one here as usual, and I, as always, ate entirely too much! I hope your bees are also well-fed and ready for winter. The Farmer’s Almanac is predicting a “teeth-chattering” cold throughout the country for this coming winter and says it’s going to last longer than usual, extending into March. I have seen their predictions fall flat, however, and other predictions, like that of the NOAA Climate Prediction Center, are for milder-than-normal temps for much of the U.S. Additionally, El Niño has a 70 to 75 percent chance of developing this year. El Niño is an ocean-atmosphere climate interaction that is linked to periodic warming in sea surface temperatures in the central and eastern equatorial Pacific. During the winter, typical El Niño conditions in the U.S. can include wetter-than-average precipitation in the South and drier conditions in parts of the North. So, there you have it – both sides of the story! I am not sure, but my winter coat forecast says that here, for now at least, things might be a bit warmer than normal. The coats on my animals, including my horses and many of the cattle are not as heavy and thick as they are when things are going to be harsh. Of course, that is a short-range forecast, as things can change very quickly. Nevertheless, I predict that December temps will be above average with its ordinary cold snaps that come to Kansas and the Midwest during the last days of the year. This has been a wetter-than-normal fall, and I think that will continue. With that expert opinion and five dollars, you can buy a latte at Starbucks! And now on to other things! I have participated in the EPA’s Pesticide Programs Dialogue Committee (PPDC) meetings for around five years now and have attended all of the spring and fall meetings. I was unable to attend the most recent one due to the death of my mother the day before but did sit in on the phone for one day of the Biotechnology Seminar. There was much information and almost too much to digest, but the thing that was upsetting is that, for both meetings, there was a complete lack of focus on pollinators. I think much of the work done on pollinator protection over the past ten years has been forgotten. There is no money or interest in resisting the move against science, and advisory panels are being shut down. I am afraid we have lost the war against big money! Perhaps we never were really in the fight to begin with. All I know is, we are losing good people at EPA and other federal agencies that were on our side. Workers at EPA are feeling targeted and forced to rollback previously completed projects and have heard scientific conclusions questioned. I have been concerned for years about how we have been treating federal employees, especially scientists across the spectrum of agencies who speak out and have the science to prove their claims. I was very involved when Johnathan Lundgren was basically run out of USDA because of controversial opinions that went against “big chem.” It is not going to change anytime soon, and I am afraid it will be even harder to keep our bees alive. I always wanted to run a thousand hives and be what I considered a real commercial beekeeper. I made it to 800 hives fifteen years ago, but the fight has been difficult. With 70% losses last year and my age making changes necessary, I will not realize that long-time goal. Be that as it may, I am worried about younger beekeepers who are having the same dreams I had twenty years ago but are finding the struggle even harder. My prayers are with them, and I hope for a miracle to turn the tide in their favor. Of course, ABF will continue to fight on behalf of beekeepers for public policy that will lead to healthier bees. This month we have great reports from our contributors. 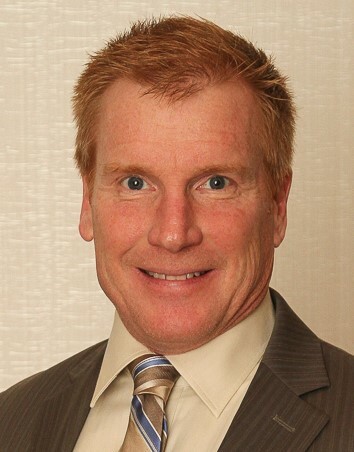 Tim May, our President, is urging us all to contact our members of Congress regarding additional drive time for livestock, fish and bee haulers. The current rules limit drive time to 11 hours and limit on-duty hours to 14. 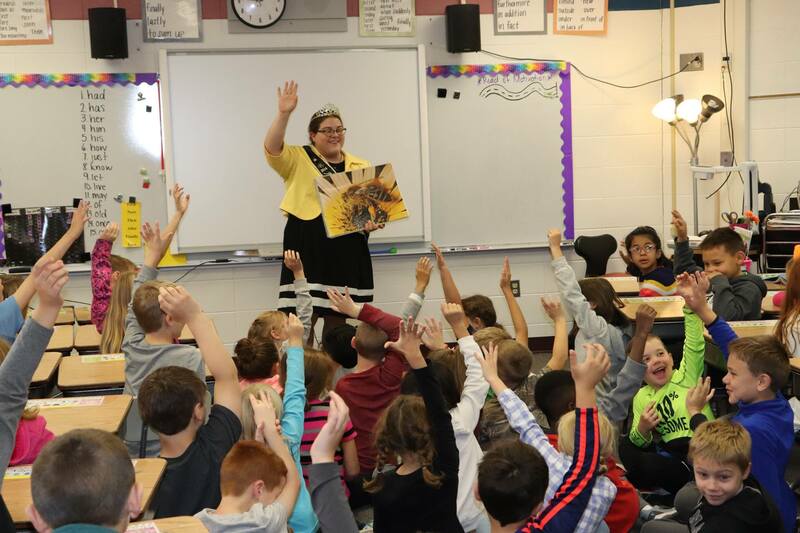 Joan Gunter has a legislative update, and Anna Kettlewell has a great Honey Queen Buzz – keeping us informed of all the activities of our Honey Queen and Princess. There’s also lots of great Buzzmakers and a wonderful new honey recipe. I hope you enjoy your time spent here with us again, and if there’s anything you would like to see in a future edition of E-Buzz, please drop me a line at tuckerb@hit.net. I’m going to get on the treadmill and hopefully lose a few pounds before all the Christmas festivities! Yeah.....right! Hello ABF members – over the past month, we’ve continued to work on the “Hours of Service” regulation and included here is the latest information we have to share. On October 15, a handful of agricultural groups including the American Beekeeping Federation, American Honey Producers Association, Livestock Marketing Association and National Aquaculture Association together filed a petition with the Federal Motor Carrier Safety Agency (FMCSA) for additional drive time for livestock, fish and bee haulers. The current rules limit drive time to 11 hours and limit on-duty hours to 14. The petition requests live animal haulers be granted approval to drive up to 15 hours with a 16-hour on-duty period, following a 10-hour consecutive rest period. Any livestock, fish or bee hauler wishing to operate under the extended drive time would be required to complete pre-trip planning and increased fatigue management training. We are hopeful this will be seen by the agency as a reasonable and common-sense approach to increased flexibility for our haulers while maintaining roadway safety. Currently, we are waiting for the agency to publish the petition in the Federal Register. We believe it is on a three-week timeline for publication, so it should appear shortly. Once it is published, the ABF and other organizations that filed the petition will be asked to comment. In this regard, we have reached out to other organizations to the extent their groups wish to tangibly support the petition and submit comments once it is posted. In addition, a bipartisan Congressional letter of support is being circulated by Congressmen Yoho (R-FL) and Peterson (D-MN). Please contact your members of Congress and urge them to sign on to the letter of support. 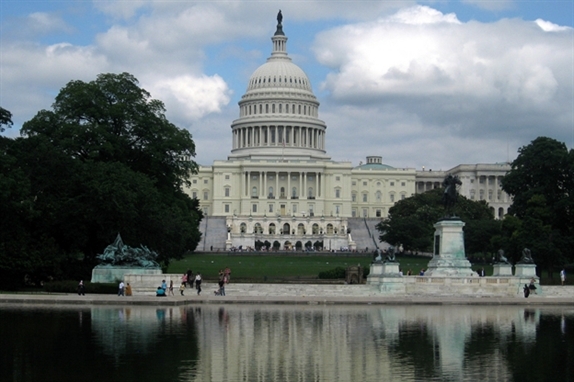 At the end of last week, the letter had 57 members of Congress supporting the petition. We also anticipate a Senate letter as well. November brings us colder temperatures and an early snow in the Dakotas. As the cold and snow sweeps over us, thoughts of warmer temperatures in Myrtle Beach in January are definitely a good motivator to keep us moving. Christmas can be a hectic time, so plan your vacation around the ABF Conference & Tradeshow in January. It will be a perfect place for family and friends. The staff is back to work on the Farm Bill, and we are hoping for a result before Christmas. If not, they will have to file an extension. John Miller and Fran Boyd are working with Senator Hoeven (R-ND) on a honey bee storage amendment. This is just in the beginning stages. I will keep you informed as more information unfolds. We are calling for ABF resolutions now. If you have anything you would like to submit, please send them to jmgunter@hotmail.com and copy the ABF office at info@abfnet.org. Please format your resolution as you would have it read at the annual meeting. We would like to have these ready to go before the conference to save time. There will be a Legislative Committee call during the beginning of December, and I would encourage everyone on this committee to be on this call. I am sure you have all heard of the passing of Jack Thomas, the founder of Mann Lake. This man has done a tremendous amount of work for the beekeeping industry. Let’s remember Jack and Betty and the time we were able to share with them. He will be missed! Each year we have a blast supporting the ABF and American Honey Queen Program with a little light-hearted competition between auction bidders during the ABF Conference & Tradeshow. Please help us keep things interesting with an awesome array of must-have auction items! Your contribution is instrumental in funding the ABF programs that serve our industry and preserve and protect honey bees. If you are interested in donating an item to either the silent or live auction, please let us know via email at info@abfnet.org. We CANNOT accept auction item donations at the ABF headquarters office. You may ship directly to the conference hotel or bring your donation with you to the event. Auction items must be dropped off by 10:00 am on Wednesday, January 9. Our expert fundraisers need time to inventory all the wonderful donations and prepare for the various events. 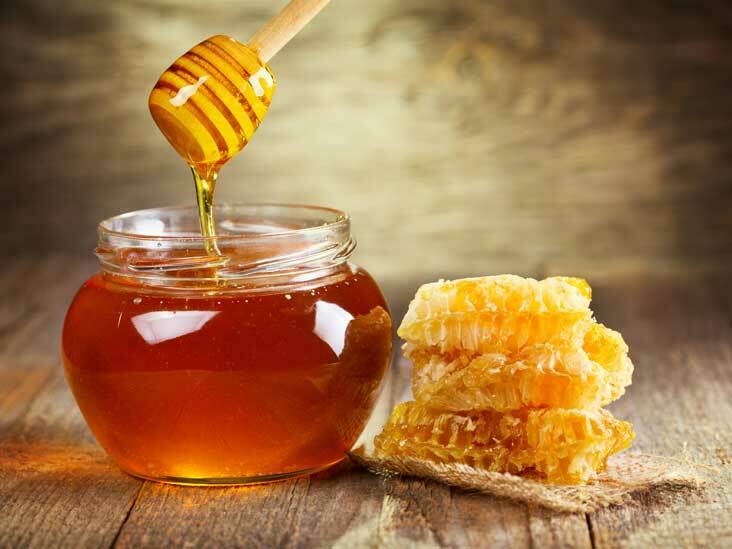 In this webinar, Virginia focuses on tricks of the trade to make your honey show entries the best quality they can be. She covers great honey shows in the U.S. and throughout the world, when and how to get started preparing to enter a honey show and what the judges are looking for in judging honey and hive products. Gift Box Theme: "Royal Indulgence"
We invite you to enter the 2019 American Honey Show, which will be held during the 2019 American Beekeeping Federation Conference & Tradeshow in Myrtle Beach, South Carolina. This is a prime opportunity to showcase your bees’ abilities to produce the purest honey, the best wax and the most goodies. The Honey Show will showcase the best examples of honey and beeswax. It includes eighteen (18) classes—twelve (12) for honey, five (5) for beeswax, one (1) for beeswax art and the gift box class. The gift box theme for 2019 is “Royal Indulgence.” After the entries are judged, they will be auctioned to benefit the American Honey Queen Program. The official show rules and regulations and entry form are available on the 2019 American Beekeeping Federation Conference & Tradeshow website at www.abfconference.com/american-honey-show. It also includes helpful honey show hints and tips! Before Friday, December 14, you may send your entry form and fee payment to the ABF headquarters office. Alternatively, you may submit your entry form and fee payment onsite at the conference. You MUST ship directly to the hotel or hand deliver your show entries. No entries will be accepted at the ABF headquarters office. Questions? Contact us at 404-760-2875 or via e-mail at info@abfnet.org. Good luck! Are you interested in serving on the ABF Board of Directors? Directors commit to monthly board meetings via conference call and some committee and board work beyond the conference calls. Board meetings are typically held at 8:00 pm Eastern Time. We are seeking candidates to run for the following board seats. A great candidate is someone who wants to learn the ins and outs of the ABF and has ideas for improving the organization. If you are interested in running for one of the open board seats, please contact the ABF headquarters office for next steps. You may be nominated, or you may nominate yourself. Nominations may also be made from the floor during elections. First, you must attend the ABF Conference & Tradeshow. The ABF bylaws require you to attend the conference to be considered and/or elected. Any State Delegate seeking election to the ABF Board of Directors must attend the ABF State Delegates Assembly Luncheon on Wednesday, January 9, 2019, from 12:00 to 1:30 pm. You will need to be prepared to give a two-minute talk about yourself, what you have done for your state association and why you would be a great member of the ABF board. If you are a member of a SIG, you will need to attend your SIG meeting on Thursday, January 10, 2019, from 1:30 to 3:15 pm. Elections are held in the breakout room. The candidate collecting a simple majority of votes from SIG members present wins the election. The word “volunteer” is derived from the Latin word “volo” which means to freely offer to do something or commit to an undertaking. Volunteer and make a difference in the ABF! Questions? Contact ABF Executive Director Molly Sausaman at msausaman@abfnet.org or 404-760-2875. The ABF Conference & Tradeshow is right around the corner, and I am counting down the days until the Kids and Bees event. Kids and Bees will take place on Friday, January 11, at the Sheraton Myrtle Beach Convention Center Hotel, from 9:00 am until noon. Hundreds of little feet will pitter-patter through the halls, dodging beekeepers as the owners of the tiny feet squeal and giggle with excitement and wander their way to their very own beekeeping event. Kids and their teachers and parents can expect a room full of hands-on exhibits under the themes “The Art of Beekeeping,” “The Science of Beekeeping,” “The World of Beekeeping” and “The Future of Bees: It’s Up to You!” They will learn about the art and science behind beeswax, honey, pollination, ultraviolet bee vision and so much more! Students will make their way through each station, engaging with beekeepers and Honey Queens and participating in activities that will harness their senses and imaginations. I always strive to make this program a community-focused event. Local beekeepers donate honey, observation hives stuffed with bees, beekeeping equipment for the kids to handle and explore and most importantly—their time. It is wonderful to watch local families connect with their local beekeepers. For beekeepers who travel to the ABF Conference & Tradeshow, this is a fantastic opportunity to meet other beekeepers from here, there and everywhere and share your passion for bees and volunteerism. If you would like to participate as a volunteer, please contact Phylicia Chandler, program coordinator, at phylicia@beegirl.org. If you are planning to attend the conference and are wondering what to do to keep your kiddos entertained, please join us! Even if they have spent hours in the bee yard with you, I guarantee they will learn something new. Registration is required for this no-cost event. Please sign up at https://abfkidsandbees.eventbrite.com. Fall has quickly turned to winter in the Midwest! I hope you are all enjoying the changing seasons! Cooler temperatures mean fall beekeeping conferences for the queens. 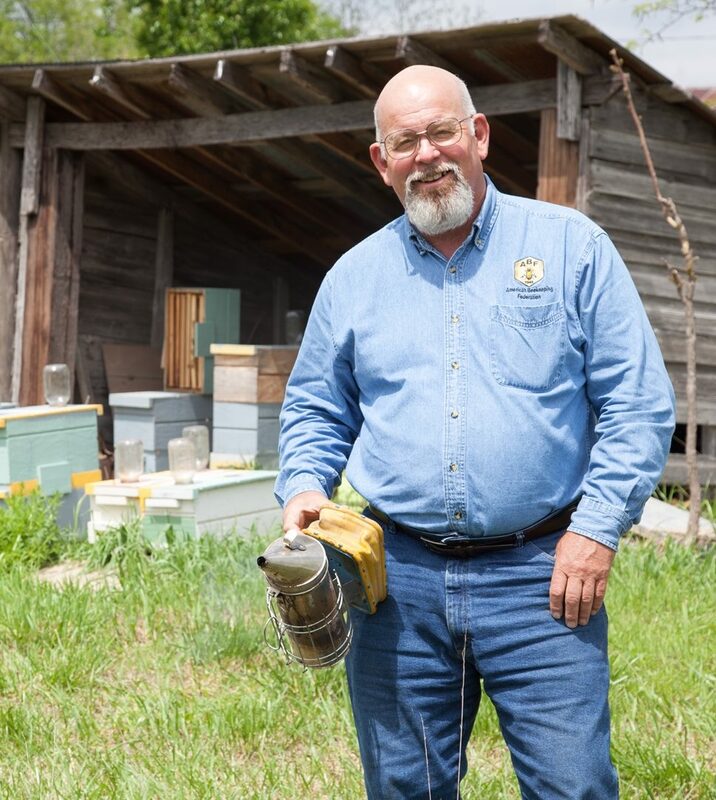 This month, stops were made at the Pennsylvania State Beekeepers Association, Wisconsin Honey Producers Association and Texas Beekeepers Association conventions. The queens participated in convention fundraising activities, taught youth about the wonders of the honey bee through educational outreach events, caught up with many beekeeping friends and presented about their promotional work for the American Beekeeping Federation. The American Honey Queen Program thanks these state organizations for your continued support of the program! Queen Kayla continued to stay busier than a queen bee in between her many stops. She made additional stops outside her convention tours speaking in local schools in Pennsylvania. The ABF has benefitted from Kayla’s tremendous classroom experience this year, and her degree in art education allowed her to use many teaching techniques throughout the country. Kayla is also finishing up continuing lesson plans for teachers who receive a presentation from a honey queen or beekeeper in their school. These lesson plans will be made available for teachers nationwide. Thanks to her interaction with many of you this year, she will develop a unique plan for students in elementary school, middle school and high school. The holiday season is sneaking up on us quickly. The queens will continue to promote into December and will spend a good part of next month preparing to see you in Myrtle Beach and give final reports on their promotional work! We continue to take promotional requests for the end of this year and 2019, so contact me at 414-545-5514 or honeyqueen99@hotmail.com with your events! Happy promoting this holiday season! Firstly, HEAT YOUR OVEN TO 170C or 340F. Add the butter, honey, 1/2 teaspoon of salt, vanilla and cinnamon to the bowl and melt for 2 mins, Varoma, speed 1. After heating your oven to 170 degree celcius, line a baking tray with grease proof paper and spread the honey coated nuts out on to the sheet. Roast for 15 mins, mixing and turning the nuts at every 5 min interval. When the nuts are ready after 15 mins you will notice that the honey was bubbled, and become sticky and stringy like caramel. Add the raw sugar and the other 1/2 teaspoon of salt into a container and shake to mix. Add the caramelised almonds and then the lid, shake to coat all the nuts in the sugar/salt mix. Tip the sugar coated nuts back out onto the tray to cool completely. Once they are completely cold, break them apart from each other and store in air tight jar or container or eat immediately. They make excellent presents at Christmas for a drinks and nibbles hamper. The cinnamon really gives a christmas flavour, but you could also add chili flakes to the sugar coating mix for sweet spicey version.